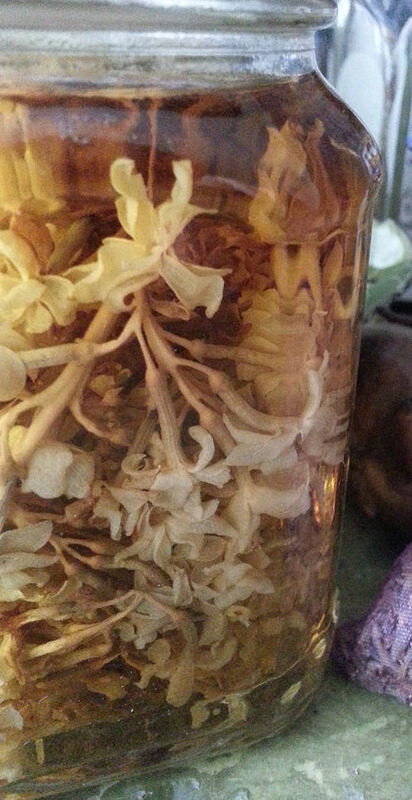 Biochemical Alchemy | Therapeutic relationship between foods, biochemistry and herbalism. This is a departure from my customary post, yet an alchemical expression, uniting our being with nature. From beginning to end, it is most satisfying being a part of the process. 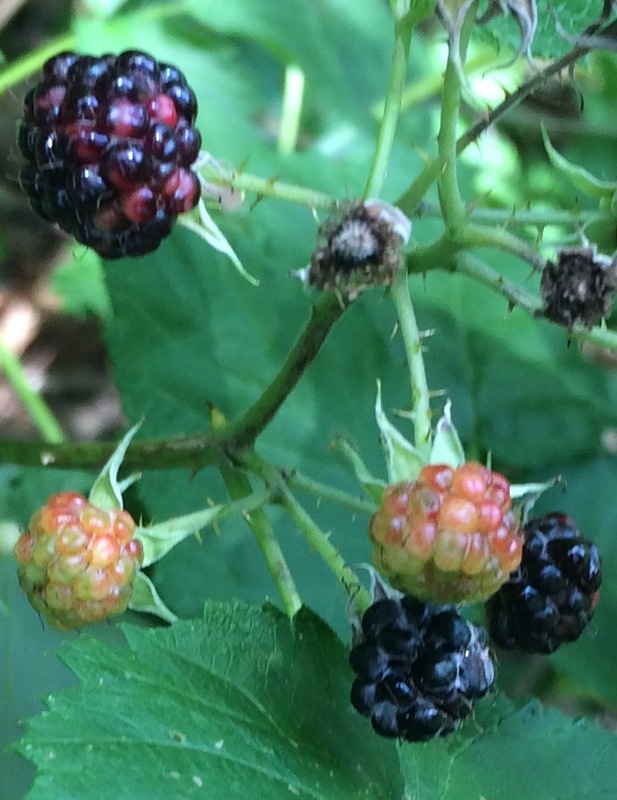 Blackberries ripening in the morning sun. 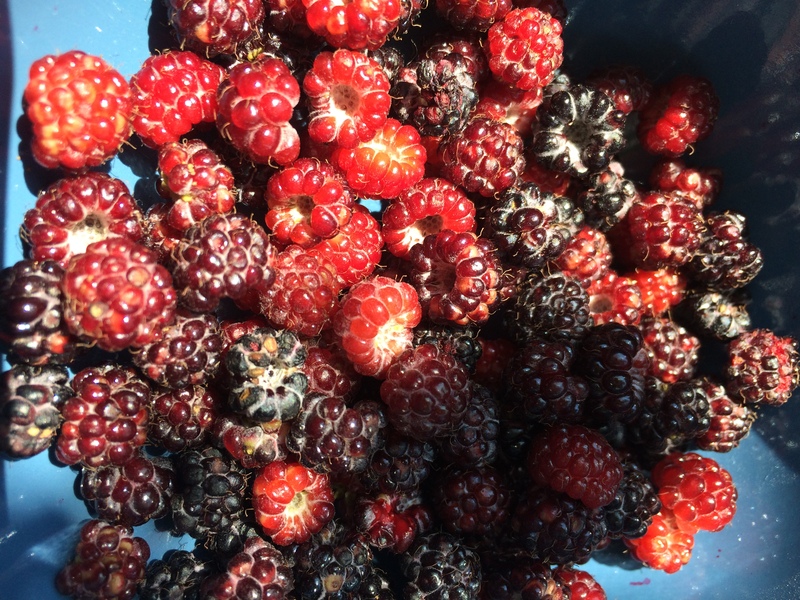 Harvest about one cup fresh, handpicked berries. Wash well and allow to dry thoroughly, so as not to dilute the concentration. 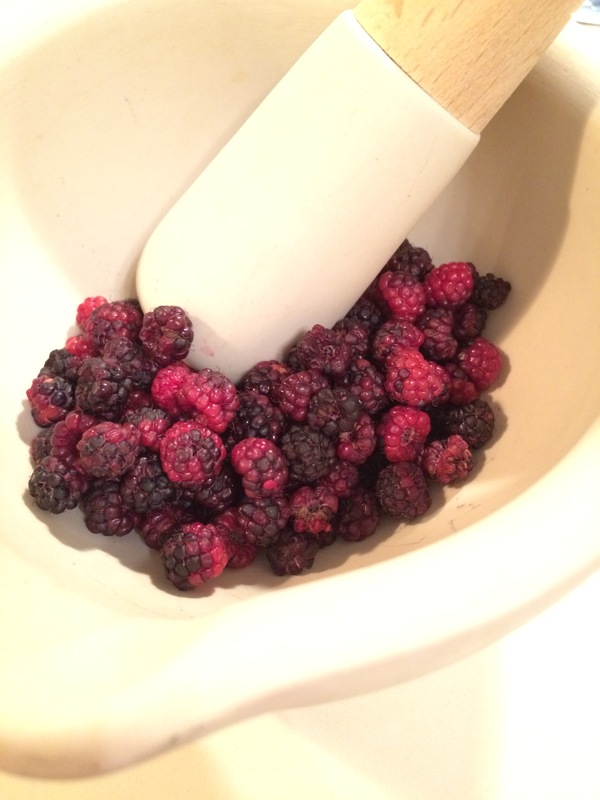 With mortar and pestle, gently crush berries into a jammy consistency. Cook in a double boiler over medium heat. Simmer covered for 20 – 30 min. 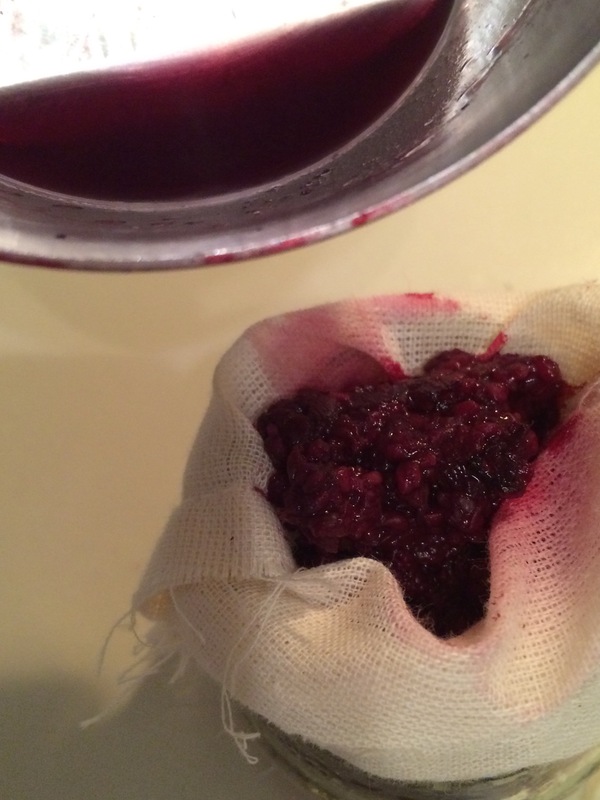 Strain cooked berries through a 100% cotton cloth. Double a draw-string tea bag over on itself pouring berries directly into a sterile glass ink well. 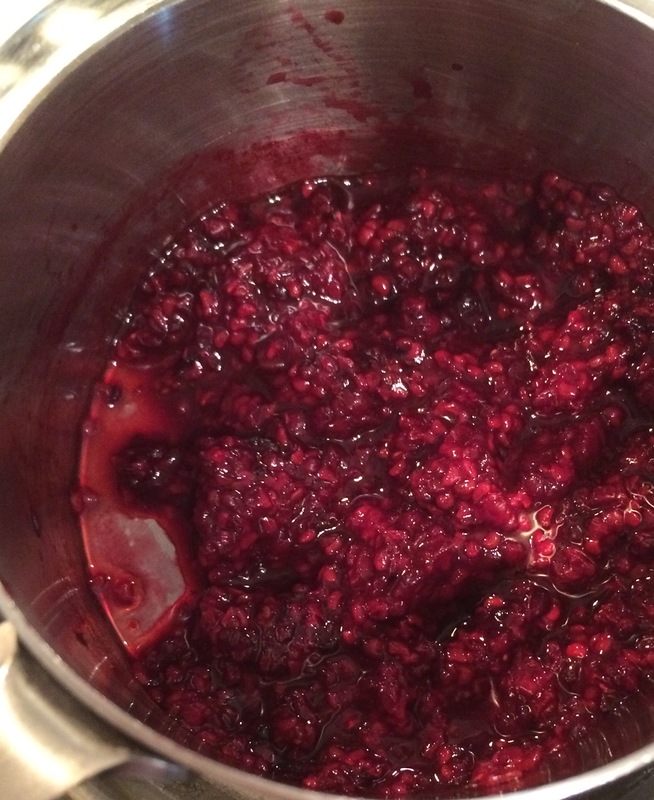 Macerate berries with grain alcohol, or at least 80 proof vodka; to further extract essential plant oils while draining. 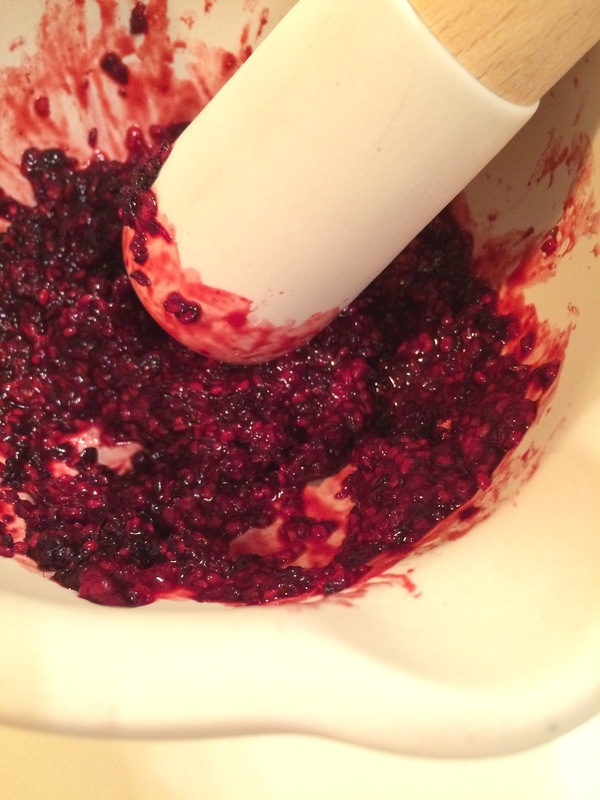 Add 2-3 tablespoons gum arabic to thicken. I added 1 Tbsp. 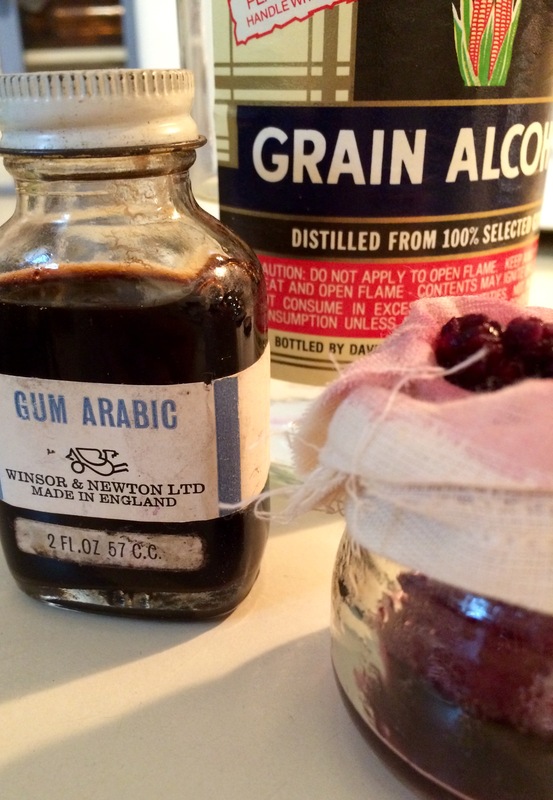 liquid Gum Arabic with a mineral spirit-like preservative quality. Squeeze bag gently until all liquid juice has been fully extracted. 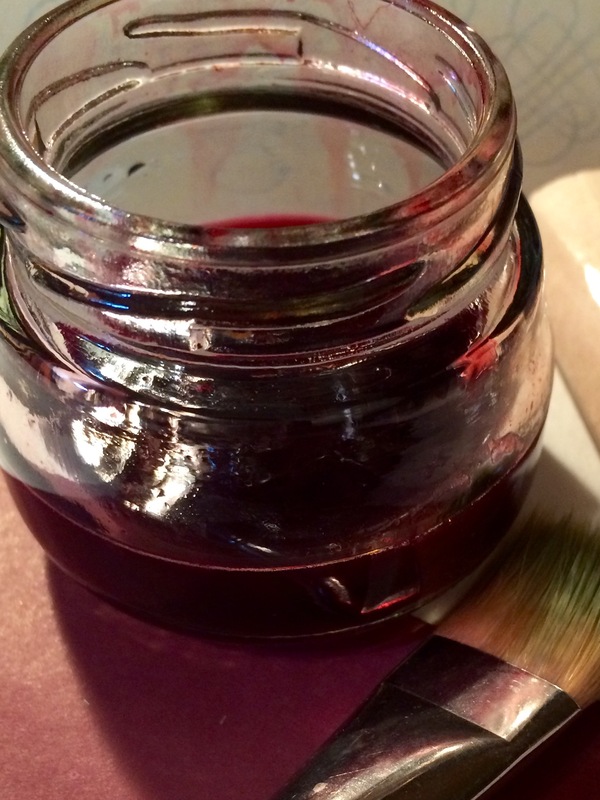 Allow to cool and paint, or write away! 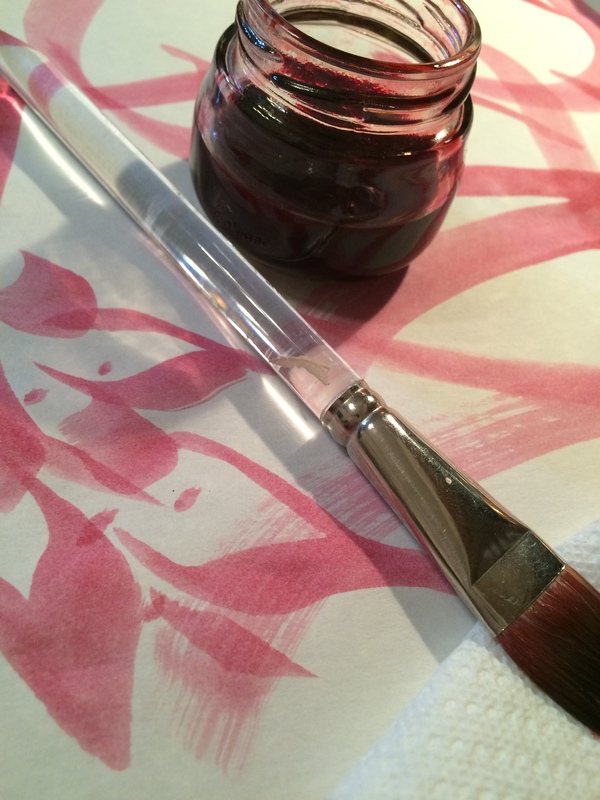 I could not wait to apply brush to parchment and experience the glide of this yummy medium. The color is lighter than anticipated, but will undoubtedly darken over time as exposed to UV rays, and the aroma is so “jammy” wafting off the page, that I expect my artwork to be perfectly edible. This is a quick and simple craft to potentiate your art, and I successfully did it ALL while wearing white! Our senses conjure memories of time’s past. Distinctive shapes accompany colors and casual conversation, pressing the “play” button on recordings archived in our minds and hearts. A welcomed, familiar fragrance is often associated with one who has passed. Lilac floods the canvas that is my Mother’s. 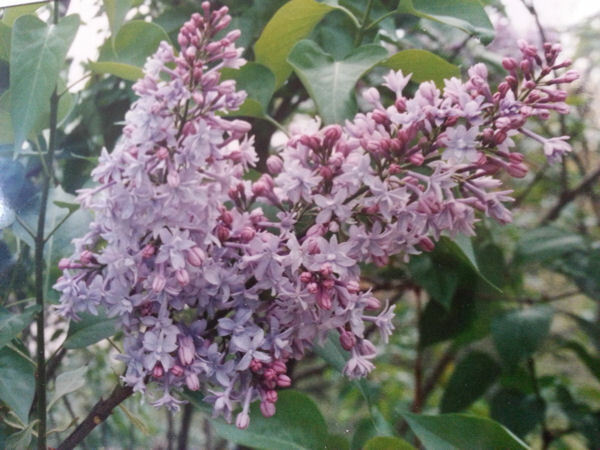 The heirloom lilac tree grows just outside our old homestead backdoor where the pale, purple perfume wandered in. My Mom chose this lilac backdrop to capture many family celebrations. She spoke of lilac memories a lifetime apart in such an enchanting way; I was convinced were my own. 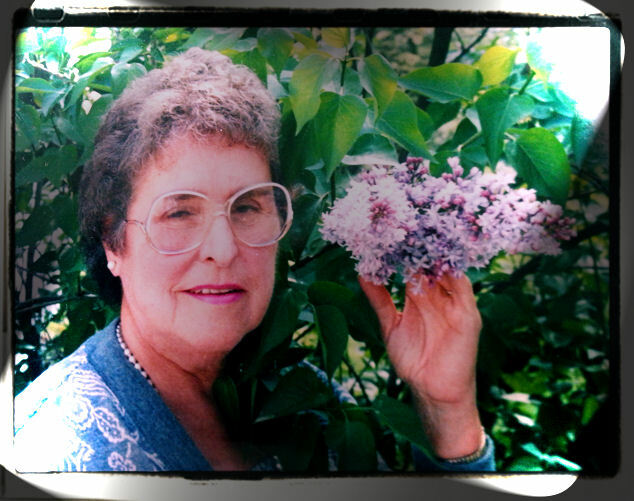 Cherishing Moms’ memory on Mother’s Day, and every day we are touched by their never ending spirit, wisdom and love. I share this tribute with you, with every spritz, or two. 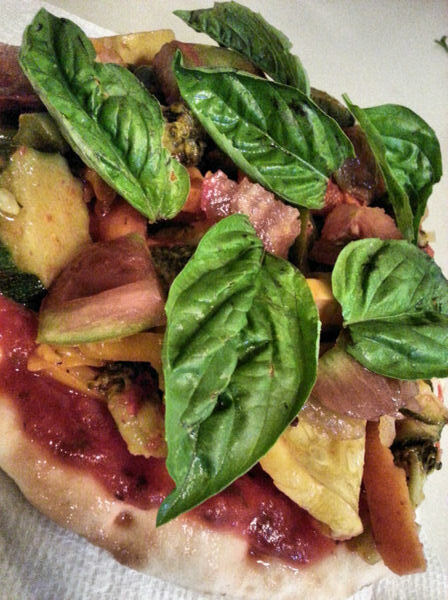 This colorful vegetable pizza is quick to prepare and filled with flavor. Preheat conventional or toaster oven to 400 degrees Fahrenheit while assembling. Begin with Naan or unleavened flat bread. This recipe would be vegan if not for the possible ingredients used in Naan. Our naan is local but contains “DATEM”, which is an acronym for bread conditioners often containing animal ingredients. Coat the bread of choice with just enough tomato sauce so as not to become soggy. Pesto is an excellent alternative! 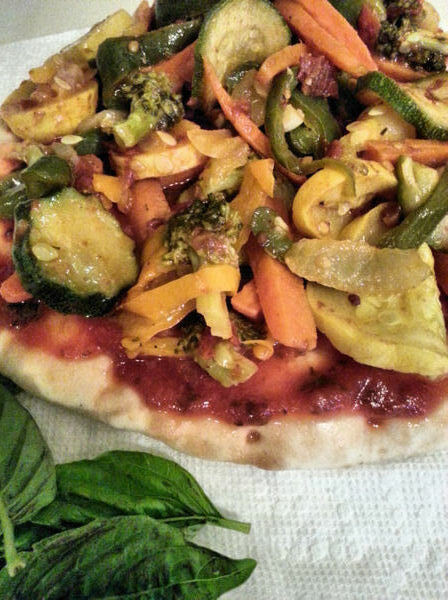 Heap a generous portion of sautéed vegetables on top. I often choose the same selection of easy to come by garden veggies because I like them. 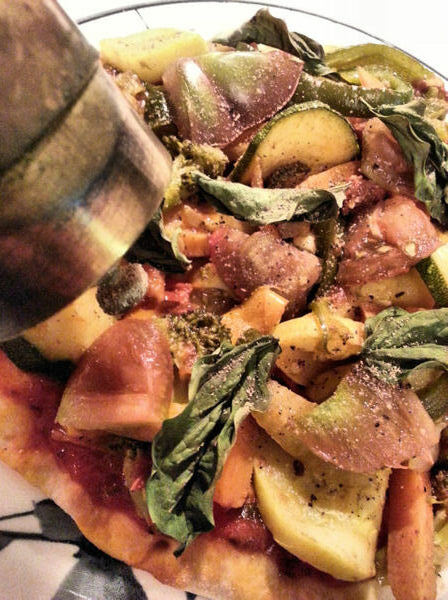 These veggies were previously prepared and seasoned with intention for future entrees, like this one. Add thick tomato slices or small wedges. 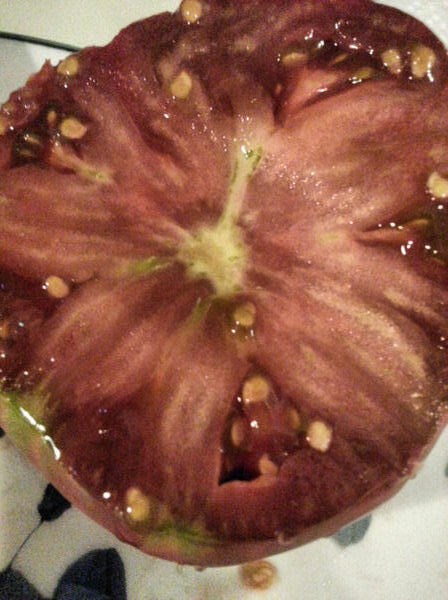 Heirloom varieties, like this Black Krim, are known for their meaty texture, therefore; withstand heat well. Heirloom varieties contain higher levels of effective lycopene antioxidants, demonstrating a reduction of blood platelet aggregation. Our tomatoes were not ripening in the cool summer nights so I brought them indoors to save them from both animals and the elements, but only after a hint of color first appeared. This is the formation of lycopene, which continues to develop from the inside out. Garnish with fresh basil to bring forth the flavor of these mouthwatering tomatoes. 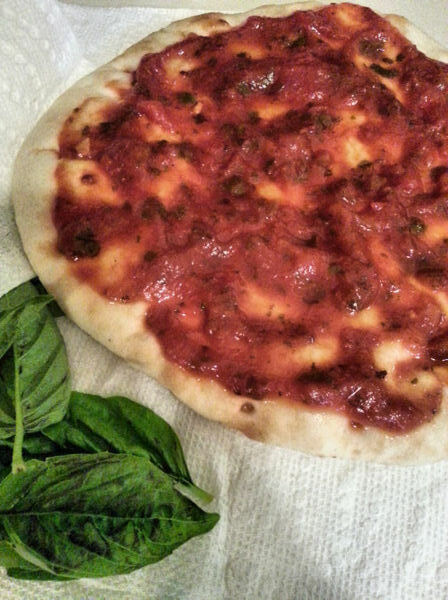 Fresh plucked basil complements the sweet tomato. Finally, grind black pepper overall to taste. We use a Turkish coffee grinder as our pepper mill, for a fine dusting of a tri-color blend. Bake briefly at 400 degrees F directly on top oven rack for just a few minutes. The finished product will be hot all the way through and the bread becomes slightly crisp while remaining flexible. Try different sauces and toppings to suit your individual palate and needs, because it’s all YOURS. Now that I have fed myself, I will go feed the tomatoes. They are still growing! Spring is the best time of the year to clean our bodies from the inside; so many plants that grow during this time of year are ideal for this purpose. Whether plants are used, there are many ways to accomplish this effectively through different types of cleanses. Methods include juicing, fasting, flushing and lifestyle changes in concert with possible products using herbs and or supplements. These methods are marketed to apply to a specific system to achieve a specific result. Our body’s systems work together so addressing one system may generate other (additional) outcomes. 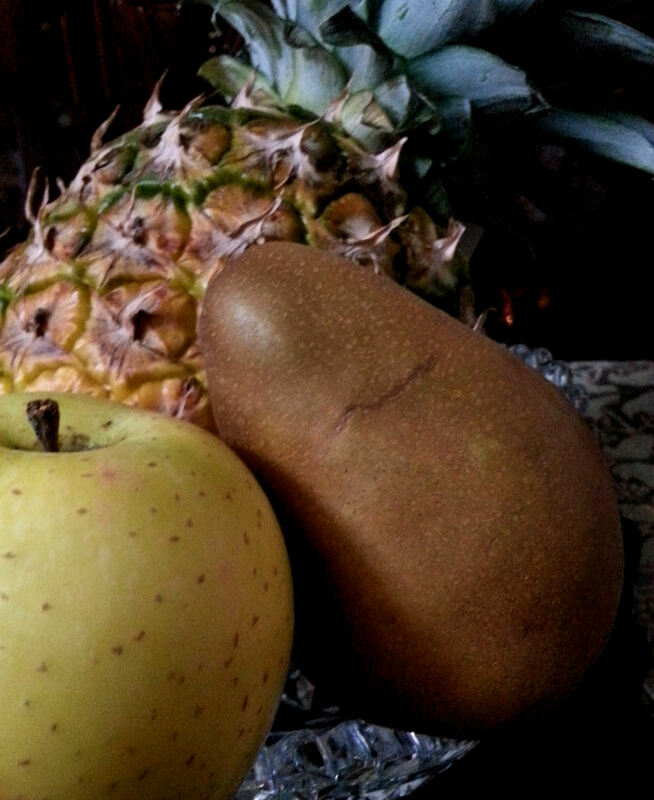 Foods alone are powerful sources used for detoxification. Fresh produce contains both macro and micronutrients that interact with our own biochemistry, creating a chemical reaction. These biochemical reactions can momentarily disrupt the body’s ability to balance while naturally striving for homeostasis. This one reason is why people often report experiencing flu-like symptoms and other discomforts, albeit temporarily. Combinations of these phytonutrients can equally upset the balance negatively when a physical condition exists; diagnosed or not. 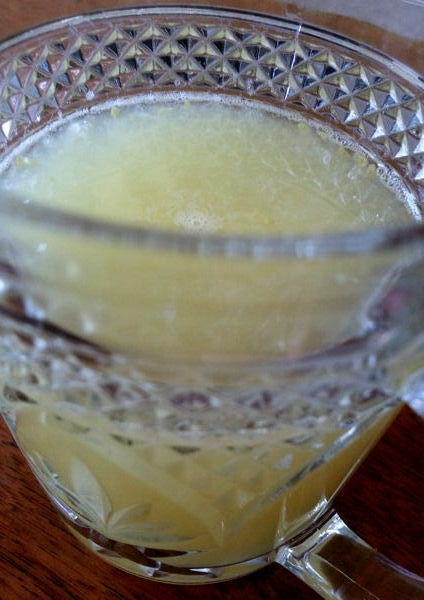 For example, a sugar spike could prove detrimental if blood glucose levels are compromised. 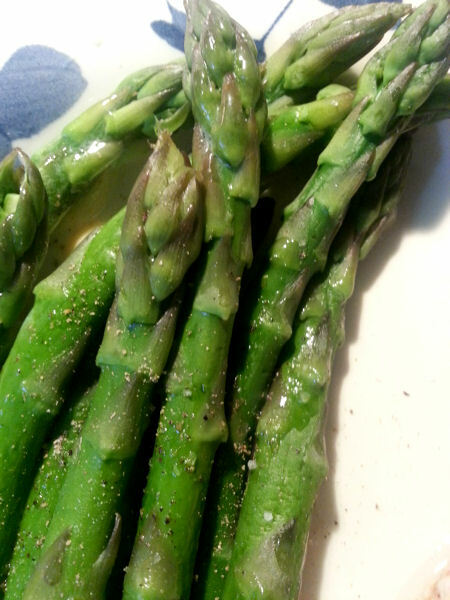 Tender asparagus spears contains highest percentages of selenium and vitamin K.
The amount of time committed depends on the method. Generally a flush is quicker than a cleanse. Regardless, the length of time spent on the process should be determined to meet your individual need. Repeating a course of treatment may be necessary. Adjusting the recommended protocol by altering specifics or incorporating additional methods may also be warranted. Supplementing foods with plants helps increase nutritional benefits from an already depleted diet. 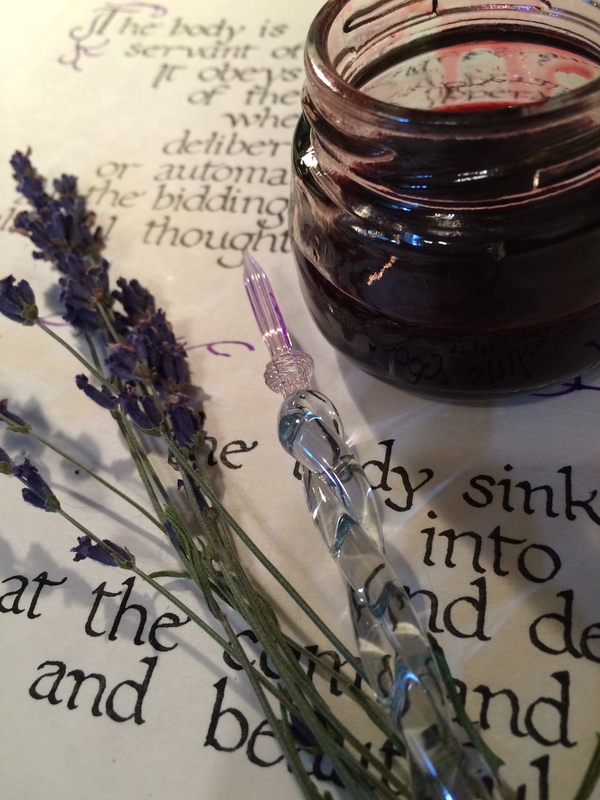 Edible flowers, weeds and herbs add flavor, color, nutritive and medicinal value. 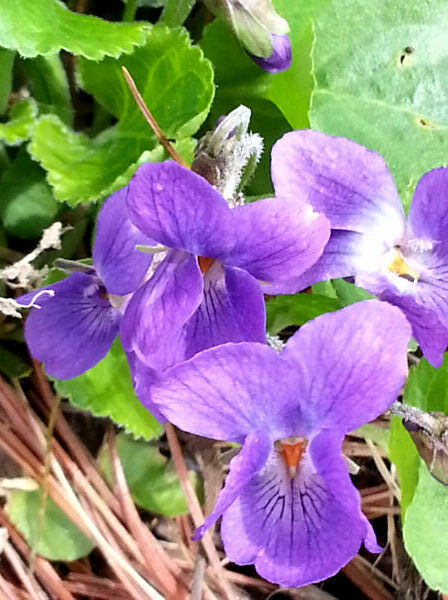 Sweet violet flowers, roots and stems have multiple use. 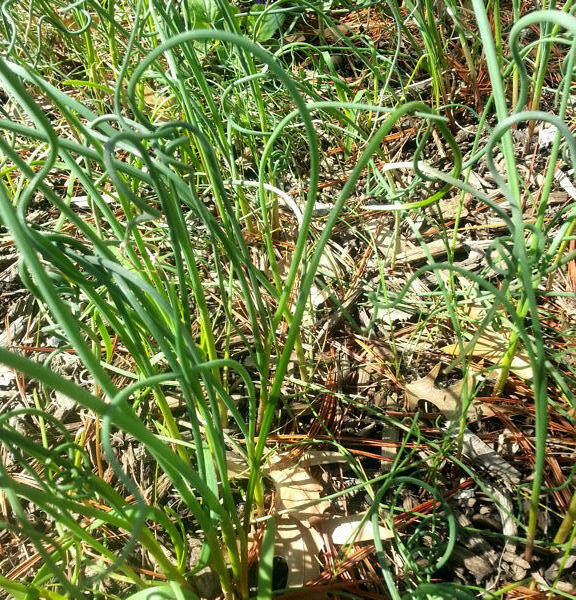 Foraging has become a popular practice. Taking care to not deplete an area by leaving regenerating plant parts and knowing which plants are protected are important when wild crafting. Open areas may be tainted by environmental contaminants. Learn the potential hazards beforehand to spare potential legal and health consequences. Educational resources such as botanical gardens, local garden clubs or park systems are helpful when identifying indigenous plants in your region. Before considering any type of health regimen, understand the goal you hope to achieve, familiarize yourself with the language and consult a qualified health care Professional with formal/practical knowledge, taking your personal health history into consideration. Pop culture wants us to believe that a quick-fix or single approach made available for the public is designed for you. It is not. Your cleansing or flushing program should be specific to your needs. Good, green things come in threes. 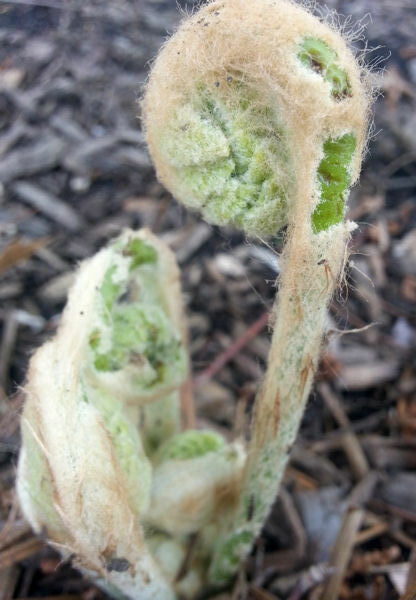 Following an unusually cold and frosty winter, we look forward to springtime and all it brings. The spring solstice occurs on the third week of the third month of our calendar year. In addition to spring, this year we recognize celebrations including St. Patrick’s Day and Mardi Gras. 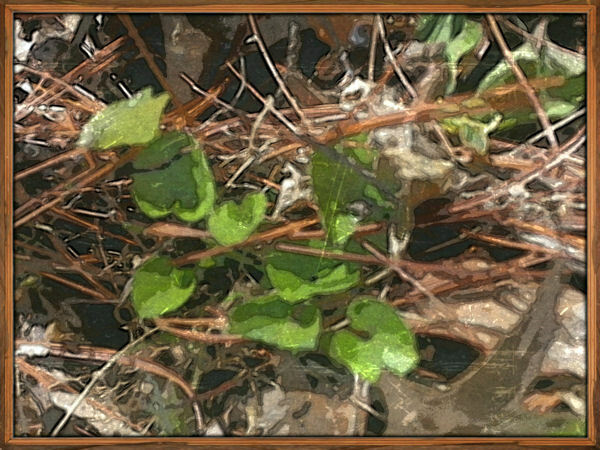 Plants symbolic of these holy days appear in nature and are represented in groupings of threes such as the three-leafed clover, and what is known as the “holy trinity” in Cajun cooking. Celery, onion, and green pepper are traditional spring vegetables available in the Southern climate where Mardi Gras is observed. White salt, black pepper and cayenne are the three customary spices enhancing traditional dishes. These indigenous foods provide continuous fortification of our bodies during the last vestiges of winter while simultaneously cleansing our systems in preparation for summer. The green goodness offered by the clover trefoil is a nutritionally rich and abundant resource for cows and pasture animals. The high water content cellulose construct of onion celery and bell peppers are necessary for flushing and rehydration. This action contributes to reduced atherosclerotic inflammation, beneficial for continued cardiovascular health. Chlorophyll from fresh greens chelate heavy metals and toxins from vessels, helping restore flexibility and healthy blood flow. Channel your spring with three green things and nourish your mind, body and spirit. Reflections of the “Prince of Wales” Hotel in the equally historic “Niagara Apothecary”. The Prince of Wales Hotel Restaurant and Spa celebrates 150 consecutive years of health and romance. A short drive to Niagara-on-the-Lake (N-O-T-L) from Cleveland & nearby surrounding Great Lakes areas make it easily accessible. The Prince of Wales Hotel is sharing its year-long birthday observance with lovely Valentine’s packages making it the heartbeat of this historic town. General Manager of this landmark Inn, Kelly Exelby, has arranged to celebrate with class, offering promotional packages blending luxury accommodations with four star rated dining for a sensual experience. The Hotel’s restaurant, Escabeche, boasts a sophisticated ‘Tasting Menu’ optimized by award-winning wines from the excellent local vineyards – “A culinary adventure to tempt your palate and satiate your desire.” The dining room is thoughtfully arranged with intimate seating providing privacy for a peaceful and leisurely dining experience proven to be digestively beneficial. Upon scheduling reservations and being seated, professional servers inquire if there are any dietary considerations or special requests. Escabeche designs a menu to meet your individual health needs. 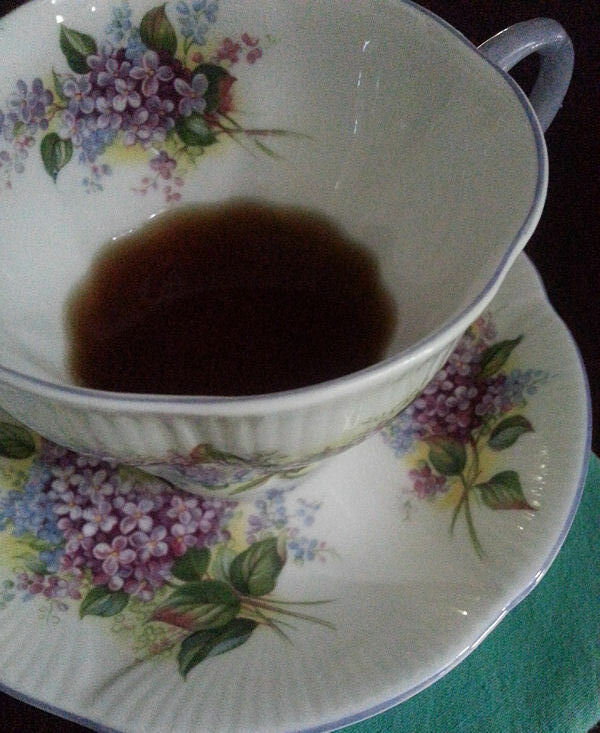 The Churchill Lounge invites you to relax around the hearth and warm your heart with a cup of traditionally brewed high tea or their signature beverage, “Churchill Coffee”. I have frequented the Churchill lounge over the years and enjoyed satisfying meals, indoors and out. There is no limit to this condensed menu carefully crafted from the same fresh, locally grown ingredients characteristic of the Prince of Wales. The palpable ambience vibrates with harmonic resonance while being treated to live, classic acoustic entertainment. Every peaceful, private room greets you like a big hug. Each room is uniquely decorated inspiring the rich Victorian style in keeping with its 1864 establishment. The Prince of Wales staff’s unparalleled services demonstrate their attention to detail. Fresh fruit and water upon arrival to your room, a fragrant rose bud placed on your pillow with care at evening ‘turn-down’ and handcrafted bath salts positioned on the private Jacuzzi tubs procure a personal touch. Accommodations are appointed with heated towel holders in the elegant and spacious bathrooms, adding to your memorable experience. Overlooking Lake Ontario, Niagara-on-the-Lake is in the Niagara peninsula just down river from Niagara Falls. The area is surrounded by water generating energy, lending to this therapeutic theme. The Prince of Wales amenities include a chemical-free indoor salt water swimming pool and hot tub, a vantage point from which to watch the weather overhead through the wall of windows. The pool room is above the “Secret Garden Spa”, whose tranquil facilities include a plethora of professional spa services, relaxation lounge with the promise of serenity. Massage and regular exercise promote healthy parasympathetic activity by reducing blood pressure and heart rate, ameliorating cardiovascular disease. Homeostatic imbalances precipitate illness by compromising immune function. Adaptogenic herbs and foods also inhibit excessive catecholamine release substantiating the importance of complementary relaxation therapies. The Prince of Wales Hotel Restaurant and Spa is located on the Main Street in downtown N-O-T-L, accessible by foot en route to shops, parks, The Shaw Theater, golf course, marina and several historic sites, expanding a refreshing exercise work-out. An optional service provides transportation to wineries for care-free tastings! For a more romantic adventure, a horse-drawn carriage is available just outside the door.